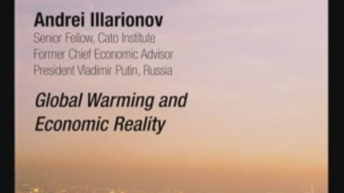 Andrei Illarionov is a senior fellow at the Cato Institute’s Center for Global Liberty and Prosperity. From 2000 to December 2005 he was the chief economic adviser of Russian President Vladimir Putin. Illarionov also served as the president’s personal representative (sherpa) in the G-8. He is one of Russia’s most forceful and articulate advocates of an open society and democratic capitalism, and has been a long-time friend of the Cato Institute. Illarionov received his Ph.D. from St. Petersburg University in 1987. From 1993 to 1994 Illarionov served as chief economic adviser to the prime minister of the Russian Federation, Viktor Chernomyrdin. He resigned in February 1994 to protest changes in the government’s economic policy. In July 1994 Illarionov founded the Institute of Economic Analysis and became its director. 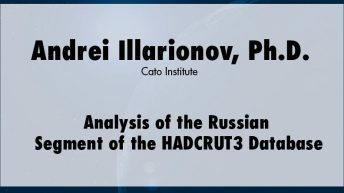 Illarionov has coauthored several economic programs for Russian governments and has written three books and more than 300 articles on Russian economic and social policies.